For decades one piece of the model eluded experimenters. That unconfirmed piece was the Higgs boson, a particle that plays a role in giving (some) subatomic particles their attribute of mass. Last year -- almost a half century after the Higgs boson was first theorized -- CERN scientists announced, with a great fanfare, their discovery of a "Higgs-like" particle. Only a week ago did the research teams remove the "like" qualifier. 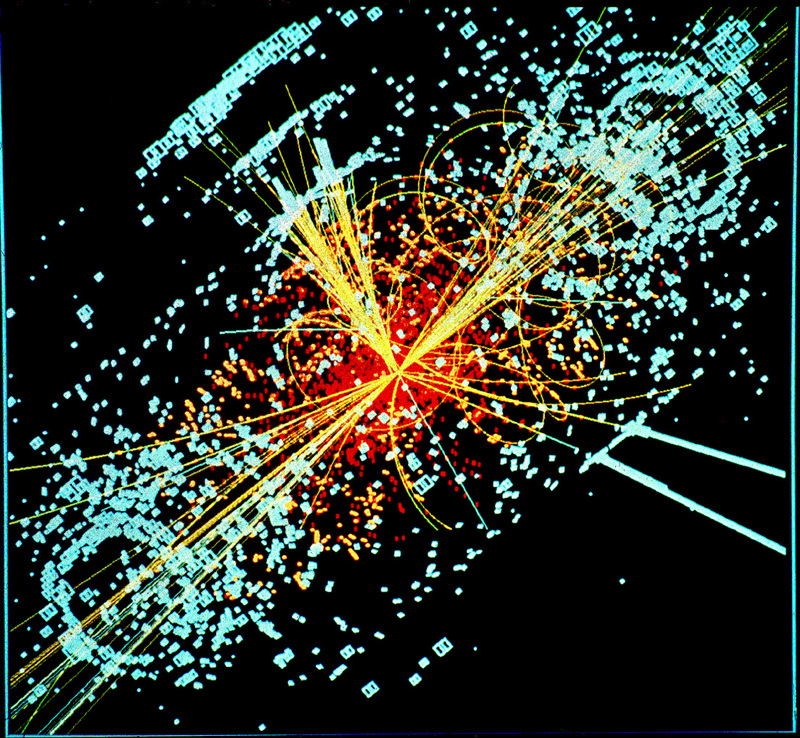 From CERN itself, see "New results indicate that new particle is a Higgs boson." On the one hand, the confirmation of the Standard Model was a triumph. And on the other hand? A disappointment. As powerful as the Standard Model is, as valuable as it has been as a guide to physicists, there are many reasons to believe the model to be incomplete. The simplest example of that incompleteness is that many of the model's parameters take seemingly arbitrary values. The charge on an electron and the ratio of a proton's mass to an electron's mass are known only from measurement, not in any way derivable from the model. The Higgs boson -- as the last unconfirmed particle in the Standard Model -- might still have surprised us. If the "Higgs-like particle" had turned out to be something different than the SM predicted, that difference might have pointed the way to a deeper model, to new understanding. Instead, "Hopes fade of Higgs particle opening door to new realms soon." And that's it from the world of Higgs and hacks. You might want to read the book "Cyberwar" by Richard A Clarke and Robert Knake. It's a non-fiction overview of the current state of affairs and the history behind them from a guy that's intimately familiar with how the State Dept. (and the rest of the US govt) is or isn't dealing with the problem. Thanks for the pointer. I'll check into it.